If you’re venturing to Costa Rica, chances are your guidebook pointed you with flapping hands and flashing lights to the cool, verdant paradise known as Monteverde. I love me some Monteverde, but dipping off the beaten path into San Luis adds a whole new and beautiful dimension to a visit to the area. Having lived in this petite place for over two years, San Luis is so special to me that I’ve completely lost the ability to view it impartially. It’s colored by transformative experiences and beautiful relationships I’ve had here – but perhaps that’s not a bad thing. Who would want to visit a place that leaves you feeling indifferent? Authenticity. Though beautiful and hospitable, Monteverde has, under the boom of tourism, evolved into a bit of a more commercial destination. San Luis, separated from Monteverde by a 25-minute descent into the valley, combines Monteverde’s rugged, mountainous beauty with the tranquility, warmth, and humility of a town of 400 people, untouched by the fervor of commercialism. Community. Spend time talking to anyone in San Luis, and you’ll find out that this community is extraordinarily well-organized. The San Luis Development Association helps coordinate everything from maintenance of the soccer field, cemetery, clinic, and roads, to a rural tourism organization that promotes local businesses. Tranquility. San Luis is a town of 400 people. Everyone knows each other, so there’s not much traffic or noise to worry about, aside from a few stray motorcycles. Accessibility. I’m not referring to the roads by any stretch of the imagination – buckle up, because San Luis has the same rocky roads that Monteverde is famous for. You’ll want a car here for sure. What I mean is that you can stay in San Luis and devote a day to head up the mountain and experience the highlights of Monteverde. 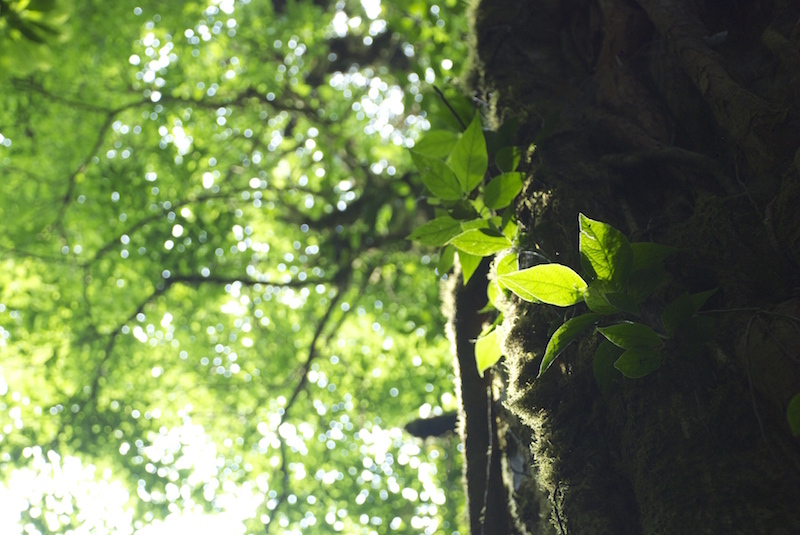 Zipline, see the Monteverde Reserve – check ’em off your list. Then return to San Luis at the end of the day for a quiet, relaxing evening. This family-owned and operated farm boasts beautiful trails that wind through the property, taking you along the river, by pastures, and through thick forest. No stretch trail is the same as another; each twist and turn confronts you with a new lush view, each teeming with life. During the dry season (roughly January – April, inquire for availability), the family builds a swimming hole into the refreshingly cold Rio San Luis – the perfect way to end your hike on a hot day. A campground is also available. Tip: This is the perfect destination for avid bird watchers. The property is nestled against the back of the Monteverde Reserve and Continental Divide, visitors have the unique opportunity to see both birds typically found on the Pacific Slope of Costa Rica, and birds not typically seen in Monteverde that have drifted over from the Caribbean side. As an added bonus, the Ornate hawk-eagle has been found nesting on the property for several years running. Pacific Slope Trail (Sendero Pacifico). A fairly recent initiative, the Sendero Pacifico is a network of freely accessible hiking trails that aims to connect the Monteverde Reserve at the the top of the Bellbird Biological Corridor, to the Gulf of Nicoya at the bottom of the corridor. Currently, hikers can choose to complete a day hike in San Luis, or partake in an overnight trek to Guacimal. Whatever length of trail you choose, the views over the valley are stunning. Hikes should be completed with a guide. UGA Costa Rica/Ecolodge San Luis. The true value of staying at the UGA campus (see “Stay” section below) is the educational activities facilitated by a team of resident naturalists, and included in the nightly lodging rate. Bird-watching, cow-milking, a guided natural history hike, medicinal garden tour, and sustainable farm tour all keep you busy outside, while informational talks and workshops about birds, mammals, insects, plants, and reforestation mean that you’ll come away from your stay a pseudo-expert on the tropical cloud forest. El Cafetal Coffee Tour/Café San Luis. Victor Ramirez has worked in the coffee industry for over two decades, in every aspect from processing to tasting to now growing and roasting his own coffee. A tour through this family-owned farm paints a remarkably detailed picture of how coffee is grown, harvested, roasted, and tasted, and the challenges the crop and farmer face together. Victor’s passion and expertise shine through on this tour, which is perfect for coffee enthusiasts. Coffee available for purchase at the end of the tour. 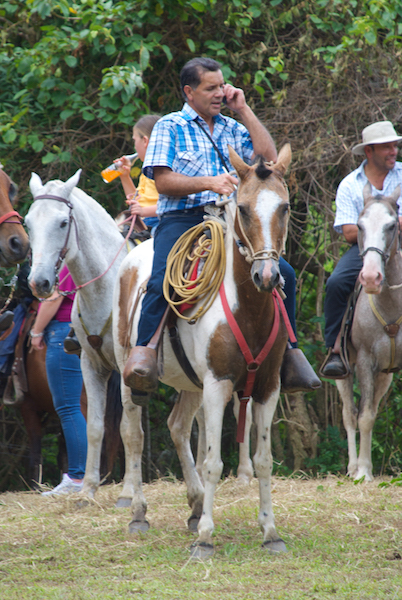 Finca La Bella Coffee & Sustainable Farm Tour*. 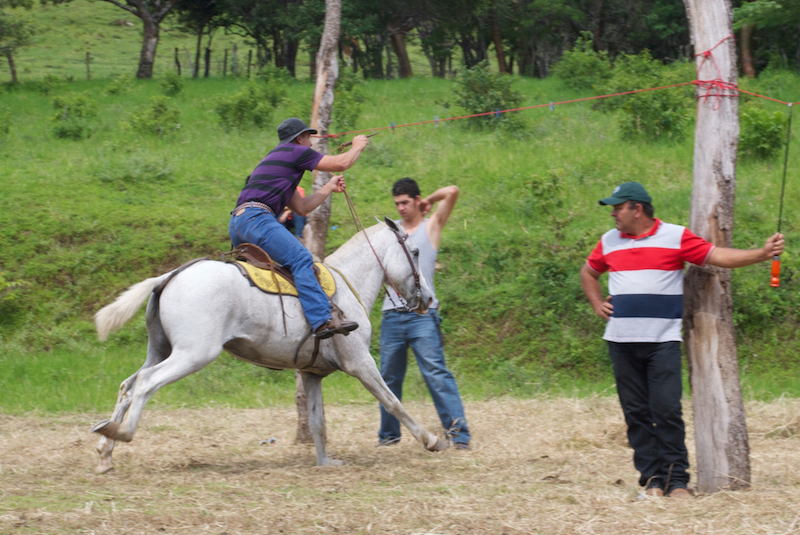 This tour starts at the homes of one of two small-scale family farmers in Finca La Bella. Visitors learn about both coffee and sugar cane cultivation, and lend their own hands to juicing sugar cane. After visiting the farmer, you continue down the road to Finca Bella Tica, where visitors learn about the roasting process and have the opportunity to buy locally-grown coffee. *This combination tour is arranged through UGA Costa Rica for its guests, though you can visit Finca Bella Tica independently. Monteverde Natural Cosmetics. This is another truly family-run operation. The Vargas-Torres family produces a line of 100% natural soaps, lotions, and other beauty products, infused with elements found practically in their backyard (like the cascaras of coffee beans or orange peels). The business is run out of a small workshop to the side of the family house, but their products are sold all over Monteverde and Costa Rica at large, and have even found a steady market in China. The family offers tours of their production upon request, which I’d highly recommend if you get the chance. However, the family maintains a busy schedule, so tours are subject to availability. Guests of UGA Costa Rica can contact Reception to check availability. Rancho de Lelo. 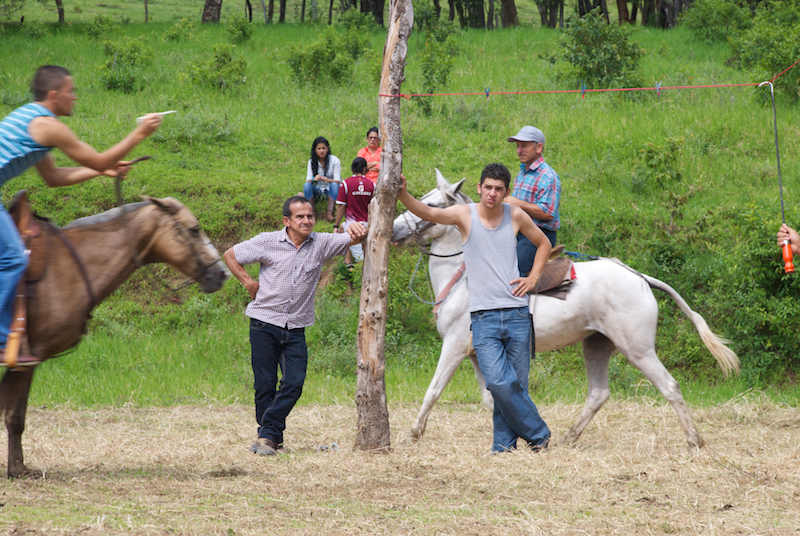 Located in Lower San Luis, Rancho de Lelo features tilapia ponds and a small farm from which they harvest their food. In additional to their famous fried tilapia, fished straight from the property’s ponds, friendly owners Lelo & Elvira offer chicken, smoked pork, and vegetarian dishes. Farm tour also available upon request. Zelmi’s Pizza. Located on the grounds of Finca Ecológica San Luis, Zelmi’s Pizza is the perfect place to end your hike or swim on the farm. Aside from a variety of pizza offerings, as well as frescos squeezed from fruit grown on the property, a unique charm of the place is Zelmi’s beautiful paintings, which line the walls of the pizzeria. Dinner or cooking class with a local family. * Organized for guests of Ecolodge San Luis/UGA Costa Rica Campus, eating dinner or going to a cooking class with a local family allows you to step into an authentic Costa Rican home and share in the food traditions of its inhabitants. University of Georgia-Costa Rica Campus (also known as Ecolodge San Luis). The University of Georgia’s satellite campus in San Luis welcomes visitors who are looking to have an enriching travel experience – travelers who want to connect to and learn from their environment, not just breeze through it. The campus also houses students and researchers, so you never know who you’ll sit next to on the porch or meet at mealtimes. One of the biggest advantages of staying here is the engaging activities that are included in the nightly rate (see “Do” section above), as well as three Costa-Rican style meals a day. Campus staff can help set up your itinerary and make some local reservations. Tip: Don’t expect luxury accommodations; rooms are simple but clean. The cabinas are the most private rooms, with small, tranquil balconies with forest views. This will be your favorite spot to sit in the morning, watching troops of monkeys or coatis pass by. The Leitón’s House – Lovely two-bedroom cabin located in Upper San Luis, well-positioned for those who would like to take advantage of the rural tranquility of San Luis, but with Monteverde a short drive away. Casa El Cafetal – As the name implies, this house is set on the grounds of a local coffee farm, owned and operated by the Ramirez family. Located in “middle” San Luis. Growing up, I liked to climb trees. That little extra boost from the ground gave me the ability to spy on my siblings and (supposedly) impress the boys. To me, a few feet above the ground seemed a feat. Now, meet my co-worker Ernest. Ernest really likes to climb trees. Ernest likes to climb trees so much that he is certified professional tree climber. But Ernest doesn’t climb trees to spy on his siblings or impress boys; he uses this skill to perform scientific research in places you could never even brush on tip-toe. In fact, he’s conducting one of the most extensive camera trapping projects in Central America, fastening cameras high in the cloud forest canopy to capture data on tree-dwelling mammals. But for a day, Ernest decided to teach some more commonly-seen ground-dwelling mammals how to climb. And so five co-workers and I set out to defy gravity, if just for an afternoon, at the nearby Finca Ecologica San Luis. Ernest showed us the ropes (literally), and it wasn’t long before we were dangling in the air, suspended between the canopy above and pasture below. Color me impressed, because it’s been five days since my climb and my legs still don’t properly bend. Check out Ernest’s awesome work on his blog, and cross your fingers that I’ll be able to walk soon. Experience has taught me never to expect a one-night trip to be relaxing. The logistics are too much, the down time too little. Experience has also taught me to not always trust experience, as in the case of San Gerardo. Though the journey demands a certain level of physical exertion, San Gerardo is the most tranquil and rejuvenating overnight excursion I’ve taken from Monteverde. Located in the Children’s Eternal Rainforest, the biological station is a short trek from Monteverde, but is a world away from it. The trailhead begins in the Santa Elena Reserve and winds its way downhill for four kilometers, drifting from cloud forest to premontane rainforest along the way. When Molly (2.0) and I set out, the way was freshly slick and muddy, thanks to the perpetual fog and intermittent rain. An hour’s descent of squishing and sliding will deliver you to the station. Now, as a rule, I always leave something important behind. This trip, it was a second pair of socks, making my feet a prisoner of their sad sodden sock cages for the duration of the trip. But no matter! The end of our trek was met with mugs of coffee, tres leches cake, and empanadas de papa, which warmed our stomachs (if not our toes). The station itself is rustic – minimal but comfortable, directing your focus on the world around instead of within. Most of the construction is warm and wooden, including the bunkbeds in the rooms and the porch overlooking Volcano Arenal. Adding to the the station’s charm are the caretakers: Geovanny, Ivannia, and their son. They’ve lived in the station for eight years, with Geovanny shuttling his son up to school every day in motorcycle (if you set foot on these trails you will realize the kind of feat this is). Ivannia is a kind, genuine woman and genuinely the best kind of cook. Eager to see the sun rise over Arenal, Molly and I slipped into bunkbeds early, and before we knew it were sleepwalking from bed to hammock to watch the day unfurl. Incredible vistas of Arenal aside, the main attraction of San Gerardo is its incredible biodiversity, the beautiful, unrestrained chaos that reigns in the forests. Trails loop away from and back to the station. The amount of detail is overwhelming, a barrage of the senses. San Gerardo is part of the Children’s Eternal Rainforest, Costa Rica’s largest private reserve. Proceeds benefit conservation of one of the world’s most biodiverse forests. The hike to San Gerardo (there & back) can be made in the same day. If you’d like to stay at the station, make your lodging reservations in advance through the Monteverde Conservation League. Bring boots, a flashlight, binoculars if you’re a bird person, and layers (it gets chilly at night!). Recently, my tico neighbors lent me some Outkast-style hospitality and invited me to participate in a rural family tradition: processing sugar cane, or moliendo caña. The day I attended, the activity, now more social than subsistent, drew about twenty family members and friends to (a) help, (b) watch, or (c) poke the oxen’s bums with sticks. Not for the faint of heart, the process can begin as soon as the sun peeks over the horizon. Everything begins with the hauling of cane from the fields to the trapiche (cane mill). From there, driven by brute ox power, the cane is squeezed into juice and the long stalks tossed aside. The juice is poured into a jacuzzi-sized vat, which is heated carefully by fire underneath (preferably monitored by a dedicated attendant or two). As the water boils off, a thicker liquid is left behind. Some of this liquid gets diverted into large metal canisters and cooled in tubs of water. It will be warmed and used to make agua dulce (literally, “sweet water”). As more and more water evaporates, a fluid miel (syrup) is left behind. As the liquid reaches this stage, it’s time to execute an exit strategy and remove the syrup from the heat. This is the moment the spectators have been waiting for. As the exit trough drops into place, spectators flock from the sidelines. They extend bowls, slabs of wood, and pans, eagerly awaiting a dollop of the orange-gold syrup. As soon as they receive it, they retreat to their benches, tree stumps, and four-wheelers, dump in clouds of powdered milk, and whip furiously with their utensil of choice. Some will add peanuts or mint for a jazzy touch. These independent projects will yield cajetas – rich, flaky brown sweets. Meanwhile, the trough is filled with steamy syrup from the vat and stirred with a wooden rod. As it starts to cool, the liquid becomes thicker and more viscous. The liquid is scooped from the trough and scraped into molds, where it will harden into tapa de dulce, a solid cake of sugar. This is the final product. 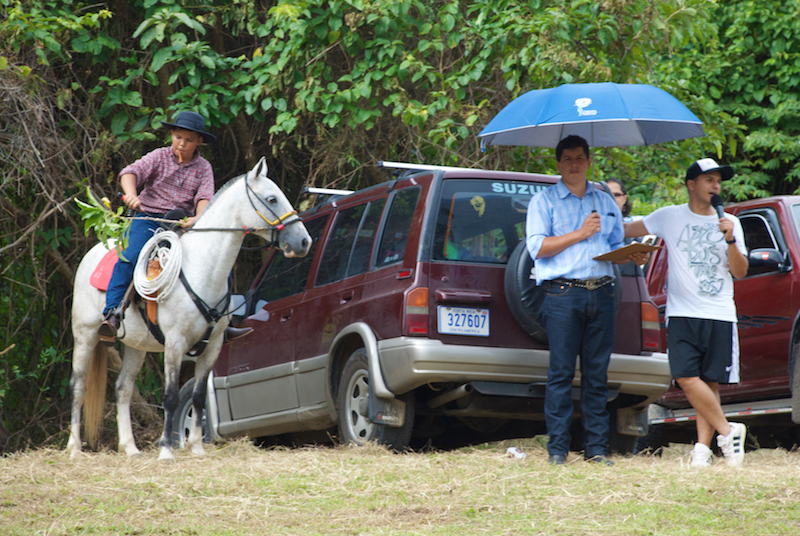 Once upon a time, the tapas de dulce were packed onto horses and marched down to the coast in Puntarenas to be sold. Now, with the world at its mechanized height and sugar much more readily available, this isn’t a for-profit enterprise. Rather, it’s an opportunity to uphold an old tradition and compartir – to share – time with family and friends. The second day of the benefit fiestas was lent to more futbol (a given), a subasta (live animal auction), and carreras de cinta. 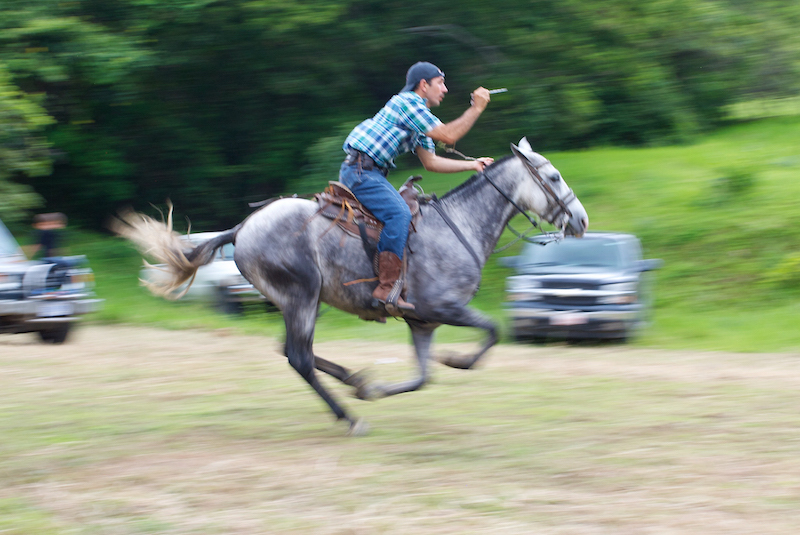 A carrera de cinta is an activity in which participants mount horses of varying degrees of staggering beauty, accelerate into a sprint, and try to put a small stick through an engagement ring-sized hole. This is up there with bingo for the size of crowd it attracts, though this seems a little more justified. In a sea of men, the Hermanita (my adoptive little sister) was one of two women, and the youngest competitor by at least a decade (or two). 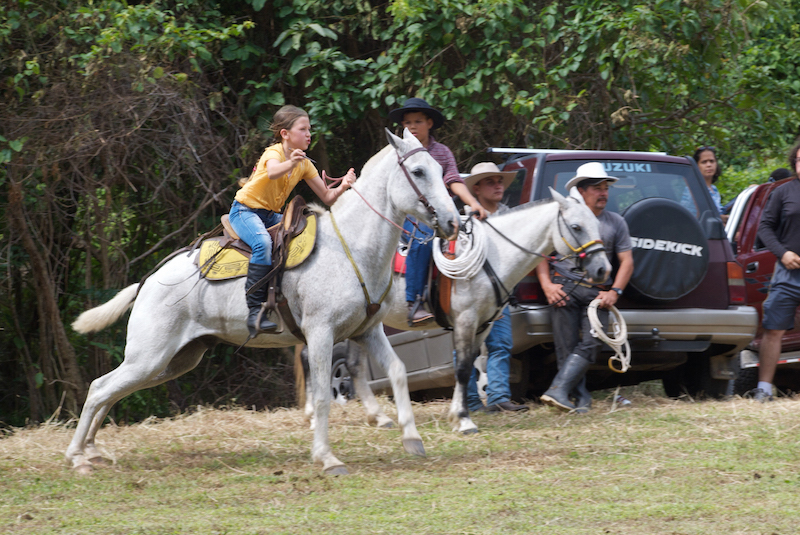 We’ll diverge into Women’s Studies: Rural Town in Costa Rica Edition at some point, but suffice it to say, I was proud to see her holding her own. As to these prizes? I can’t promise there wasn’t more Tupperware involved, but there were definitely some bottles of vodka to dilute it. Last weekend, San Luis banded together for a weekend-long fiesta to benefit a community member who had suffered from an accident. From this event, I learned the beauty of a tight-knit community. On Friday, the Accountant asked if I would like to bartend for the weekend’s festivities. I’ve always had a closet desire to bartend; always been wary of the judgement that would come from my parents; and always feared that I lack the grit to command respect from rabble-rousers. But it seemed like a smashing way to spend the day, so I conceded. With the fin of futbol, all eyes turned to the auditorium for a riveting game of…bingo. The fervor with which people flock to a game of bingo is astonishing. Of all the festivities that day and the next, the crowd peeked at bingo hour. You might think, with all the hullabloo surrounding it, that the bingos churn out cars and sofas and flat-screened TVs, or maybe even, like, a super moist chocolate cake. No. More often than not, it is Tupperware. If it’s one thing I absolutely love, it’s unapologetically dropping off the face of the planet. It’s my favorite side effect of undergoing a major life change. For the past two months, I’ve been operating under the assumption that it’s completely acceptable to not communicate with anyone because, you know, I’m experiencing extreme internal turmoil as I adapt to my new environment. Obviously, communication with the outside world would hinder the tenuous equilibrium settling into place. If we’re being honest, though, my transition to living in Costa Rica was about as difficult as writing the sentence “Then I moved to Costa Rica.” It’s been one steady exhale since I set foot in San Luis. Days and nights slip loosely from one into the next, and time takes liquid form. I’ve spent the past month blissfully constructing a new, fancy-free bubble. Bubbles, however, have their virtues and vices. Living in a whirling fish-eye lens brings certain things into magnification and shrinks others into obsolescence. Moments of blithe joy can melt into stinging self-consciousness and irrelevance. I don’t understand why the shifts happen or when they happen, but I’m learning to appreciate the perspective they bring. To feel a little unbalanced and unsure, a little raw and rash, is good for the soul. Not everything that’s shaky needs to be steadied. Not right away. Sensory input is partially to blame. I’m living in a place where I can get a headache from running into low-hanging bananas; where the only litter on the ground is from monkeys tearing apart of bromeliads; where night after night the sky is a swirling sherbet mess. It’s a place where every morning I descend the hill to a gradient of smells – freshly wet leaves replaced by the puffy lavender of the lavandería, then by the sweetness of frying plantains. It’s a place bursting with things I want to learn, people I want to understand, beauty I want to absorb. It’s a lot. This is a super indirect way of saying that presently, all is good in the proverbial hood. Maybe I’ve been crashing into too many seedless fruits, but I am oh so content here.